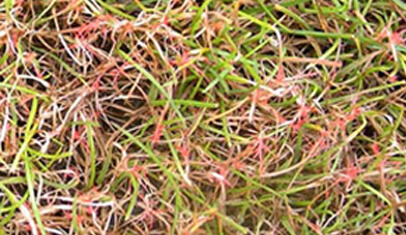 Red thread is an increasingly common lawn disease that usually occurs in the late summer, when humidity is high as a result of warm weather and heavy rainfall. Lawns with poor fertility are especially susceptible to red thread. The disease may also be caused by blunt lawnmower blades smashing the grass ends. If you’ve noticed red thread in your lawn, help is at hand – contact Lawn & Weed Expert today to request a free survey and arrange red thread treatment if necessary. What Does Red Thread Disease Look Like? Serious cases of red thread may require an application of fungicide to control the disease. The lawn usually recovers within 2-3 weeks of treatment. Avoid watering late in the evening as this may encourage the disease. Here at Lawn & Weed Expert, we can provide specialist treatment for red thread and other common lawn diseases. Our services are available in Cardiff, Swansea, Newport, and elsewhere in South Wales – call 0800 111 4958 or contact us online to request a free survey of your lawn.